Breezeway's intelligent tools make it easy to deliver the highest quality property care. Better task coordination and tracking. Brand control and quality assurance. Seamless team and client communication. 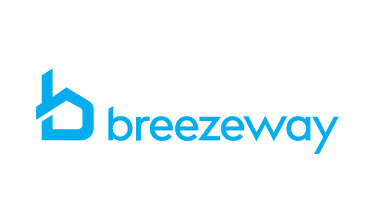 Breezeway makes it easier to manage property care and maintenance operations. Our mobile solution helps property managers and owners coordinate cleaning and maintenance tasks, improving quality and ensuring the job gets done right. Using property inventory and smart templates, vacation rental managers, owners, cleaning services and contractors use our software tools in the field to keep their property well-maintained, their operations running smoothly, and their clients happy. Created by the co-founder of FlipKey and the team that grew vacation rentals into a world-class product at TripAdvisor, we're backed by leading investors in the real estate space and building the tools that will define the future of how professionals and homeowners effectively care for their property. Volume-based pricing with unlimited users and unlimited tasks (billed monthly).